The other day while meeting with a client to go over the details of her daughter's sweet 16 I was planning, I quickly noticed that she was not her normal self. After a series of questions I realized that she was feeling exhausted and physically ill because she was not prioritizing self-care. As moms, career gals and business owners our lives get so busy that we tend to forget to take care of self. I must admit finding time to take care of self can be hard. And I also must admit, that as women we're always giving, that sometimes it can be easy to forget who you really are. 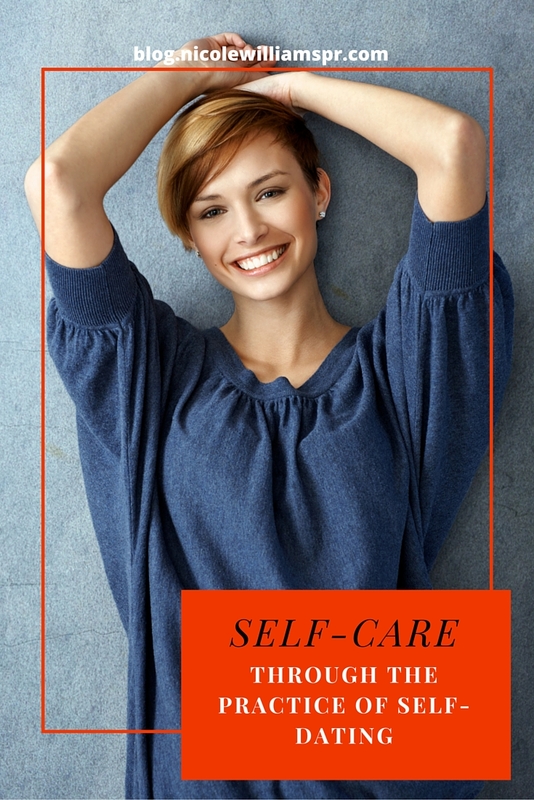 But what I've learned by experience, and was so happy to remind her… Is that if you don’t prioritize self-care, it won’t be too long before you won't be able to take care of anyone or anything. I too is guilty of not prioritizing self, so this year one of my goals is to do this through self-dating. And because self-care has to become a habit. In addition to monthly date nights with self, my planner "The Purposeful Living Planner", is helping me to prioritize self-care daily. Ladies, stop depending on others for your own happiness and learn to embrace the person who know you the best - YOU! Get over that fear of being alone, as a tryst with self can be very rewarding. Connecting meaningfully with yourself will enhance your confidence and change your perspective enabling you to more blissful and experience life differently. First create a running checklist of things that genuinely makes you happy and that you can do by yourself. That could be anything from going to the movies, dinner at your favorite restaurant, exercising, traveling, going to church or just kicking back with a great book. Schedule regular dates with yourself, and put everyone on notice. Let the hubs, the kids and anyone else know that it's your "Me Time", and unless it's a life threatening emergency, you shall not be disturbed. Which also means that while on your date with self, you will not worry about anything beyond that moment. Take the time to prepare for your dates with self like you would any other date. Style your hair, put on some makeup, get dressed in your best outfit. Slay for yourself! Give yourself the time you need by not rushing the experience. Cherish the time you spend the one person who is always by your side through it all. Set healthy boundaries to live by. Prioritize your needs by not allowing yourself to be pressured or better yet guilted into doing things you don't want to do. Set boundaries that will never sacrifice or let the relationship with self be contingent on others. Share in the comment box below, how you will go about prioritizing self-care this year.